$101,255 for a Chevrolet Camaro? Yes, you read that price tag correctly. 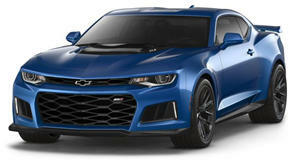 However, this isn’t just any ordinary Camaro. It’s not even a classic. This is a Camaro Saleen 620 Supercharged Black Label. 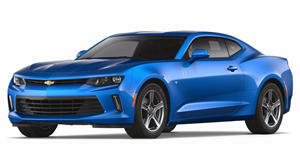 To be clear, this is a Camaro given the performance treatment by none other than Steve Saleen and crew. Powered by a 6.2-liter supercharged V8, output is now rated at 575 horsepower and 525 lb-ft of torque. And it’s paired to a six-speed manual transmission. Other performance enhancements include high performance dual exhaust, high volume intercooler water pump, and a remote external heat exchanger. There’s also a high performance suspension and unique Saleen wheels. Special Saleen touches include a butterfly induction hood, blade front grille, front splitter, side skirts, rear diffuser, and custom taillights. The interior has been touched up Saleen aluminum door sill plates, a Black Label serialized dash emblem, leather and Alcantara two-tone performance seats, and a unique Saleen steering wheel. Saleen himself even signed the dash. Heck, even the yellow exterior paint was originally developed for the iconic S7 supercar. So what do you think? Is this thing worth the six-figure price tag?